I got my first credit card before my 16th birthday. Not on my own initiative. My parents added me as an authorized user to an account they already had – a basic Citi cash back credit card that has long since been discontinued. My parents made it clear that the card wasn’t a license to spend. I could charge purchases to it in a pinch and they’d pay the bill on time, but I was responsible for reimbursing them in due course. I chose to use my debit card for most everyday purchases, reserving the credit card for bigger outlays like textbooks, electronics, or car repairs. I never charged more than I could comfortably repay with a month or two of work at my near-minimum wage jobs. When I opened a credit card account in my own name for the first time after graduating from college, I discarded the old Citi card for good and put it out of my mind. It had served its purpose. Lately, I’ve been thinking about that old card more. 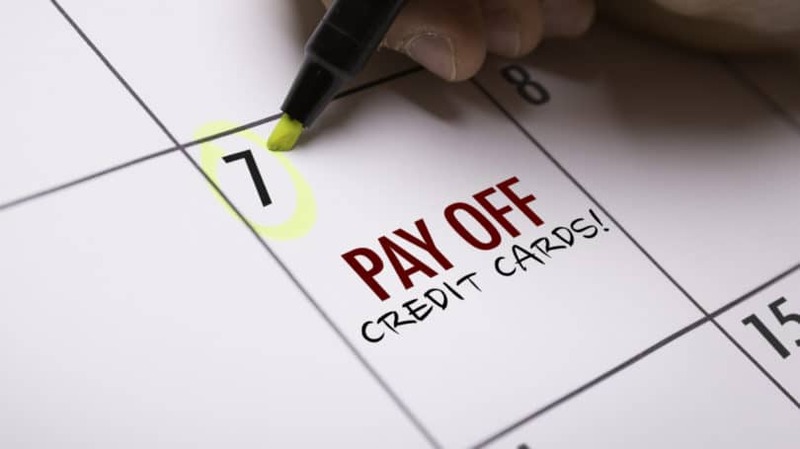 The two major purchases I’ve made on credit – buying a new car and closing on a house – might not have happened, at least not on such favorable terms, without a long and mostly wart-free credit history made possible in part by my first credit card. Though they never really articulated it to me, that card evinced a conscious and consequential parenting decision: to demonstrate judicious credit use and begin building my credit as soon as I was old enough to handle the responsibility. It’s difficult to overstate the importance of good credit. A high credit score is your ticket to lower interest rates on unsecured personal loans and lines of credit, including credit cards. The stakes are even higher for larger, secured loans, such as mortgages. Even a small upward interest rate tick can increase the lifetime cost of a mortgage loan by thousands or tens of thousands of dollars. And that’s assuming you qualify at all: Lenders generally won’t issue conventional home loans to buyers with FICO credit scores below 620, according to The Mortgage Reports. Nonconventional loans, such as FHA loans (500 minimum) and VA home loans (no minimum) are more lenient, but they’re either costlier or are only available to select groups, such as military veterans. When I got my first credit card, none of this was on my radar. I was years away from my first major loan application, still on my parents’ wireless phone plan, and had no idea what a security clearance was. But that early start, and the strong foundation established by subsequent credit-building moves, greased the skids on virtually every significant financial decision made in the years since. The CARD Act of 2009 brought the hammer down on credit card companies’ dodgy youth marketing practices, making it much tougher for minors and college students to get credit cards in their own name. Consumers under age 21 no longer qualify for cards of their own without parental cosigners or sufficient proof of income, and credit card issuers are prohibited from using certain marketing practices (such as swag and food giveaways) within 1,000 feet of college campuses. That doesn’t mean it’s futile to talk about credit with younger kids. Nor is it impossible to build minors’ credit. Parents can and should start both well before their kids can legally enter into contracts of their own. There’s no minimum age for that first credit-related conversation. As soon as your kid can grasp the basic concepts, have at it. Deciding when to loosen the leash and extend that first line of credit is a trickier calculation, one that only you and your spouse or partner can make. I spoke with financial experts and drew heavily on my own personal experience to generate this list of tips and tricks for effective credit-building and credit education at any age. Which have you done already? Don’t wait to have the “money talk.” Start discussing basic financial concepts, such as saving and bank accounts, while your kids are still in elementary school. As they get older, introduce more advanced concepts, such as insurance, investing, credit cards, and the concept of credit itself. When you consistently discuss these matters, they lose their mystery. It might feel awkward at first, but the earlier you begin conversations about common credit-related pitfalls like overspending and irresponsible credit card use, the more likely your kids are to take your cautions to heart and avoid unpleasant firsthand experience. You Might Also Like: I talk in greater depth about opening bank accounts in your kids’ names below. Before you make this move, be sure to check out our monthly roundup of the top bank account promotions and free money bonuses for U.S. consumers. On its own, the practice of introducing progressively more complex financial concepts as your kids age is a good start. Paired with intentional, rigorous financial curricula, it becomes a formidable foundation for a lifetime of sound money management. Use legitimate – and, if possible, free or low-cost – financial education resources like The Mint to drive home key financial concepts with more rigor and detail than you’re likely to muster on your own. However accurate and detailed they appear, avoid agenda-driven resources. Education portals created and monitored by credit card companies might have great content, but they’re lead generation tools at heart. Without forgoing a comprehensive approach to their financial education, let your kids’ personalities dictate which concepts get more focus and which can tolerate a lighter touch. Some kids are born savers; others are more inclined to shop. If you’re attentive, responsive, and diligent, they should all end up in a good place. Irresponsible credit card use is the financial equivalent of smoking: a reckless, all-too-common behavior that wreaks untold economic and emotional carnage. Even in the post-CARD Act environment, credit card abuse remains rampant. Though it’s far from the only cause of credit trouble, it’s among the most common, and it disproportionately affects younger people. Next lesson: explaining the building blocks of a consumer credit score. Call up your own personal credit report and walk your kid through each component, pointing out where you’re doing well and where you’re falling short. If you have personal stories about the real-life consequences of bad or below-average credit, share them. It’s certainly embarrassing to relive a personal bankruptcy or years-long struggle to get rampant credit card debt under control, but you’re quite literally doing it for your kids. Infuse the discussion with actionable advice: What would you have done differently had you known what you know now? Physical Security. Remind your kids to keep their credit and debit cards in wallets or secure inner pockets at all times. Warn them against leaving bags unattended in public places, vehicles, unsecured lockers, and other places where they’re ripe for the taking. Give them a “present” in the form of a lockable fire box to hold sensitive records and documents. Digital Security. Go over the steps to create a strong password and review basic hacking and cybercrime methods, such as email phishing and spoofing. Tune them into more advanced options, such as using a virtual private network to encrypt their web traffic and encrypted email suites to protect sensitive communications (including financial data). By itself, a checking or savings account won’t establish or improve your kid’s credit. But it’s an important step on their journey toward financial self-sufficiency nonetheless. Responsible debit card use and basic budgeting are crucial precursors to responsible credit card use and managing household finances. Many banks offer credit cards of their own. Major institutions like Chase and Citi have a slew of credit cards for virtually every type of consumer, but even smaller, regional banks sponsor starter and premium cards. When the time is right, your kid can keep things in the family and apply for a card from their “home” bank. Other issuers impose age restrictions on minor authorized users. Barclaycard allows authorized users as young as 13 years old. American Express and Discover have a minimum age requirement of 15 years old. U.S. Bank comes in at 16. Only you can determine whether your kid is responsible enough to handle their own credit card. Remember, their authorized user activity directly impacts you. You’re responsible for any charges they make – their naiveté isn’t an excuse. Pay in Full Requirement. Mandate that all charges be in full each month. This is a great way to control your kid’s spending without setting a hard cap on total spending, which can stand in for an actual budget and stunt your kid’s financial development. Off-Limits Purchases. Keep a tight leash on your kid’s spending by marking entire purchase categories off-limits. You might determine, at least at the outset, that your kid should only spend on basic necessities, such as school supplies, food, and personal transportation. As they demonstrate discipline, you can relax these restrictions. Maximum Spending Limit. Alternately, or in addition, set dollar limits on individual purchases to discourage kids from making big, frivolous purchases without prior authorization. The precise limit is up to you. Aim high enough to avoid capturing routine spending, such as a sandwich at the local sub shop, but low enough to flag flagrantly unnecessary buys, such as designer accessories. Pay Over Time Fallback. If your kid absolutely needs to make a charge that they can’t pay back right away, perhaps due to a travel emergency, set strict but realistic ground rules for repayment over multiple billing cycles. If your own budget allows, you’ll want to pay off this charge in full by your statement due date to avoid interest charges. You’ll then devolve the balance to your kid – with or without interest charges on their end, depending on the rules you’ve established. Whitcomb’s contract is designed for cosigned credit cards, but it easily applies to authorized user arrangements as well. Once your kid is earning on-the-books income from an employer or contracting client, not just an allowance, they may be eligible for a low-limit credit card of their own. If they’re not earning income because they’re in school full-time or aren’t old enough to work legally, you can get around the income requirement by cosigning their application, provided your credit meets the card’s minimum underwriting standards. A cosigned credit card provides your kid with a bit more flexibility than an authorized user designation. Like primary account holders “supervising” authorized users, cosigners retain ultimate responsibility for the co-signee’s debts. But you don’t receive their monthly bills, and you can’t directly control their spending limit. You can reduce the uncertainty associated with cosigning by requiring (perhaps in your familial credit card contract) your kid to provide their online account login information. If your kid lives at home, you can get paper statements sent to your house too. Pro Tip: Low-limit retail credit cards, such as the Plenti Card from American Express, are great choices for first-time co-signees. Sending a kid off to college is bittersweet. It’s sad to see them go, but you can’t wait to see what they make of the opportunity they’ve been given. One way they can (responsibly) capitalize on said opportunity is to apply for a student credit card. Student cards typically have laxer underwriting requirements and lower spending limits than general-purpose cash back credit cards and low APR credit cards, so they’re appropriate for frugal students with limited (or no) income and few dollars to spend. If your kid is under 21 and lacks verifiable income, you’ll need to cosign their application. Credit cards aren’t the only credit products available to young people. Nor are they the most constructive. If you plan to use student or parent education loans to finance your kid’s education, encourage them to apply for at least one in their own name. Federal student loans have some key credit-building advantages over private student loans. They don’t require cosigners for borrowers with little or no income and assets. Students as young as 16 can apply, so they’re ideal for rising college first-years who haven’t yet turned 18. The catch is that federal student loans are need-based. If your family’s income is too high, your kid may not be eligible to apply. In that case, private loans offer a workaround, though their interest rates may be higher and they’ll almost certainly require a cosigner. If you have sufficient personal savings or month-to-month budgetary breathing room, consider going a step further and covering part or all of your kid’s student loan balance. Doing so reduces their risk of falling behind on (or simply forgetting) their payments and could give them a crucial leg up when they graduate, particularly if they don’t get a great job offer right off the bat. A few years after I got my first credit card, my parents encouraged me to apply for a student loan in my name. They walked me, still in my teens, through the application process and helped me understand my rights and obligations as a borrower. The bills came to their home address, which remained my address of record, and remained their responsibility for the duration of my academic career. The loan balance was only a small share of my total tuition, but they nevertheless made dozens of on-time payments without comment. I realize now, looking back, that I didn’t fully appreciate the arrangement’s practical import. After graduation, my credit score was significantly above my cohort average, and my student loan debt burden significantly lower (though that wasn’t all due to my parents’ generosity with that particular loan). 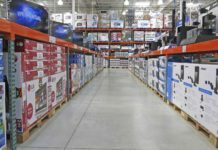 With relatively sound financial footing, I was able to hit the ground running in a place of my own – and, eventually, to make the major purchases I mentioned up top. I’m literally and figuratively indebted to my parents for their selflessness and support. You Might Also Like: Student loan debt is a crushing burden for millions of students, recent graduates, and hardworking folks years or even decades removed from graduation. If you’re struggling to get a handle on your personal student debts or worry that you’re tracing an unsustainable financial trajectory, check out our guide to reducing or avoiding student loan debt. A secured credit card is a viable alternative to a student credit card – and perhaps the only credit card option for young people not enrolled in college. Secured credit cards have very loose underwriting standards and low spending limits (often $500 or less at first), so they’re ideal for first-time credit card users seeking to build or rebuild their credit. They’re also less risky for borrowers and issuers, thanks to a mandatory security deposit that’s usually equal to the monthly spending limit. Since secured credit card users can’t overspend their deposits, they’re unlikely to charge up crippling debts that stick around for years. Even if you’ve already shown your kid a copy of your credit card statement and walked them through the highlights, sit down with them again when they get their first credit card statement. Make sure they know how to check for errors, such as unauthorized or duplicate charges, and actually get the thing paid. If they’re paying through a secure online portal, as is likely the case, help them set up external payment accounts and verify their billing details. The best on-time payment option for nervous cosigners is automatic debit from a linked bank account. As long as your kid doesn’t change the settings or deplete the linked account, their payments can’t be late. Auto-debit is a common credit card payment option and the default for student loans, many issuers of which offer rate breaks of 0.25% or more to customers who acquiesce. Otherwise, encourage your kid to time a recurring calendar reminder well before their monthly statement due date, or – better – set up a payment reminder through their online account dashboard. Every issuer has its own idiosyncrasies, so make sure the alerts actually work. This list of credit-building and credit education tips is pretty straightforward. There’s nothing groundbreaking about walking your kids through their first credit card statements or helping them apply for federal student loans. As a parent, you have full discretion over how and when you introduce your kids to the wide, wide world of credit and debt. If you so choose, you can tune them into more advanced and controversial concepts, such as travel hacking aided by travel loyalty credit cards, and taking advantage of 0% APR balance transfers or personal loans to pay off higher-interest debts. These strategies are beyond the scope of this post. Take the tips and tricks listed here to heart and you’ll build a fine financial foundation for your kids, no matter how adventurous or conservative they turn out to be when it comes to credit use. What are you doing to help your kids build credit and prepare for a financially sound future?